Per the owner this is a great fishing boat, motor runs great, she always starts up, great wrap, and new seats. I will be viewing this boat within the month, as soon as it's brought out of storage. There are two small tears in the carpet. Stock #171438 294 PRO XL powered by a 2006, 200HP Yamaha VMAX! 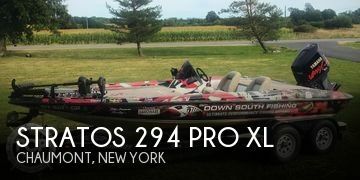 If you are in the market for a bass boat, look no further than this 2006 Stratos 294 PRO XL, just reduced to $20,750 (offers encouraged). 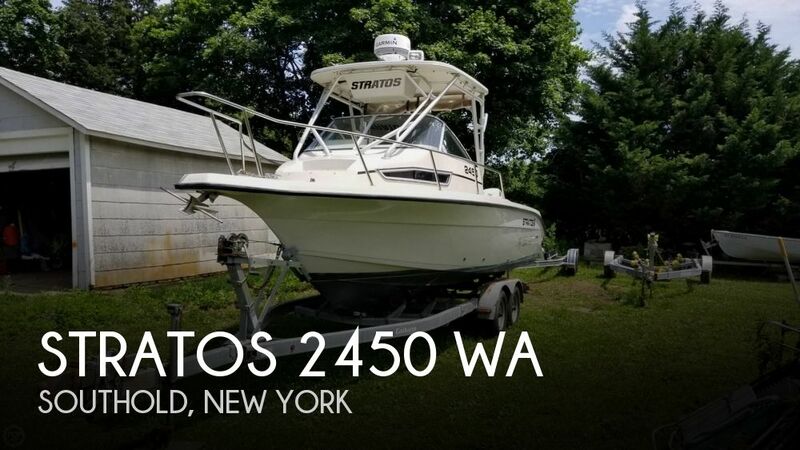 This boat is located in Chaumont, New York and is in good condition. She is also equipped with a Yamaha engine. Reason for selling is bought a new bass boat. These vessels exterior is in nice shape. - Engines could use scraping and painting. - Cabin cushions were kept off the boat by the current owner and are in nice shape. - The all-in-one Garmin was a good upgrade for this boat offering Radar, Chartplotter, and Sonar in one unit. Stock #153319 Add to your status and get a Stratos. Great for summer fun in the sun. If you are in the market for a walkaround, look no further than this 1992 Stratos 2450 WA, just reduced to $17,500 (offers encouraged). This boat is located in Southold, New York and is in need of some work. She is also equipped with twin Johnson engines. Reason for selling is moving up. 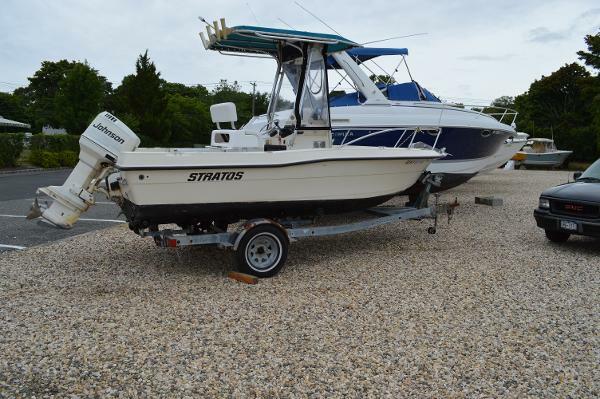 1998 Stratos 2100V This 1998 Stratos 2100V Center console comes complete with a canvas T-top! The boat is powered by a1999 Yamaha S200 two stroke outboard engine. The boat sits on a aluminum I-beam bunk dual axle trailer. The boat has trim tabs on the back, a dual battery system inside the console and has electronics on the dash. There is plenty of storage on this boat, and has a livewell too! There is a stereo and VHF radio in the electronics box. 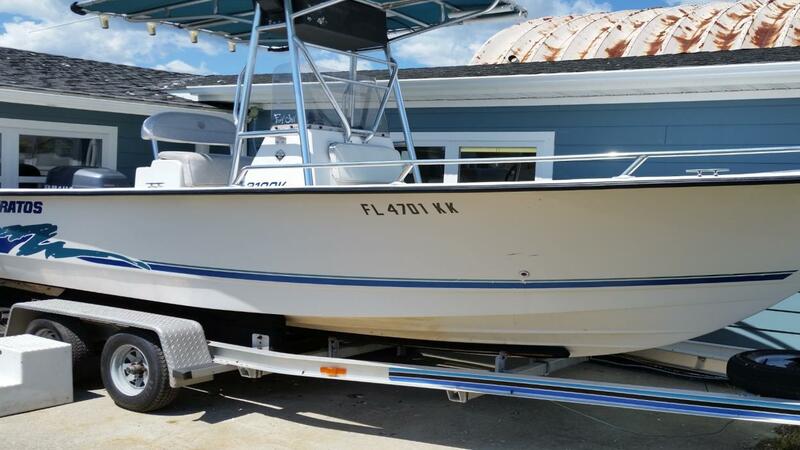 This boat is clean, priced too move, it is thousands below blue book value!